A smoothie made with low fat yogurt, strawberries, blueberries, and raspberries with a dash of low fat milk is sure to curb unhealthy food cravings. During pregnancy women are recommended to increase their consumption of milk and dairy to ensure adequate calcium intake. Dairy products provide calcium, potassium, and magnesium which aid in bone health. Three servings of dairy a day may also help with maintaining a healthy weight! Berries are a good source of vitamin C, vitamin K, folic acid, omega 3 fatty acids, antioxidants, and manganese. Vitamin K is essential for blood clotting and manganese aids in bone development amongst other things. Put these together and you have a wonderfully delicious healthy snack! Think sweet potatoes are just for Thanksgiving? Think again. Sweet potatoes are yet another good source of folic acid. 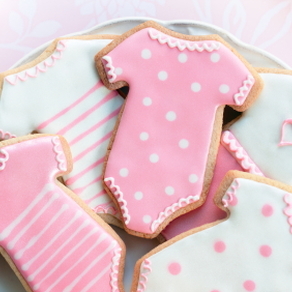 Folic acid has been shown to lower the risk of neural tube defects in the developing fetus. Whether you are pregnant or not, sweet potatoes provide a good source of vitamin A and C, fiber, iron, and calcium. 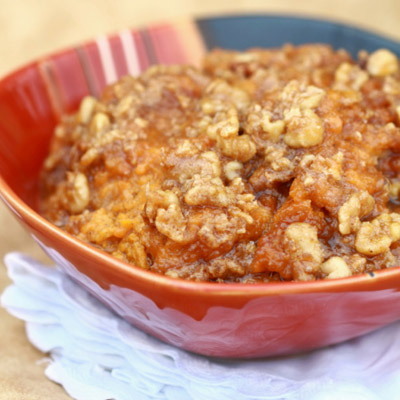 Bake a half of a sweet potato in the microwave or oven and top it with a spoonful of crushed walnuts to add some extra flavor and nutrition. Walnuts are rich in monounsaturated fats and a good source of omega-3 fatty acids (the healthy fats) and rich in vitamin E. This quick and easy snack is sure to keep you from feeling hungry between meals and provide an excellent source of nutrition. Sometimes you are in a pinch and just don't have time to prepare a healthy snack. A glass of low fat milk is only 80 calories yet it provides 25% of the days needed vitamin D and 30% of daily calcium needs and is also a good source of riboflavin. Vitamin D is used by the body to absorb calcium and is important for bone growth. Graham crackers are a better alternative when you are craving something like a cookie, cake, or other sweet treat. 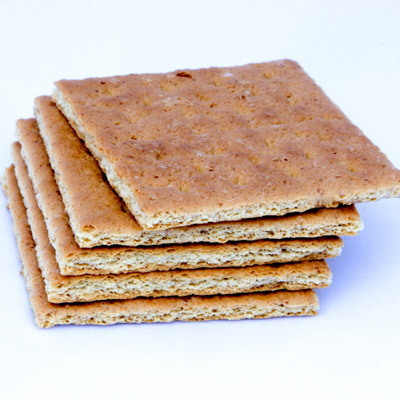 Graham crackers while not necessarily loaded in vitamins and minerals are low fat and low cholesterol containing only three grams of fat per serving and zero cholesterol with only 130 calories per serving. Cottage cheese is another low fat dairy option. A cup of low fat cottage cheese has roughly 160 calories and only two grams of fat, but is packed with 28 grams of protein. 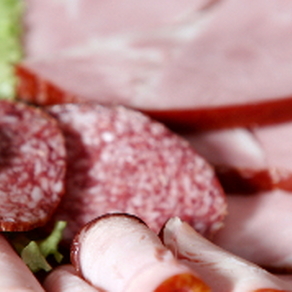 Protein is important for tissue growth and repair. Most people do not have a problem getting in enough protein, but it important to be choosing healthy, lean proteins and cottage cheese is a good choice for that. It is also a good choice for women with gestational diabetes or women needing to follow a reduced carbohydrate meal plan because it is a naturally low carbohydrate food. Peaches are another good source of vitamin A and C, potassium and along with carrots an excellent source of beta carotene. 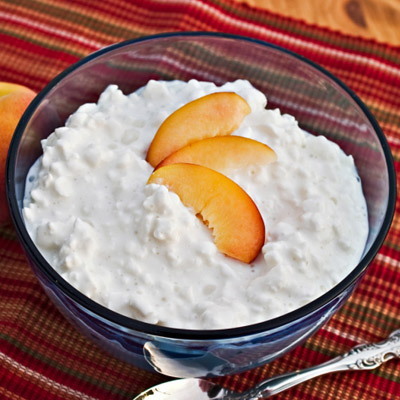 Peaches even though they are sweet to taste are actually fairly low in carbohydrates making them an excellent complement to cottage cheese for those following a gestational diabetes meal plan. Almonds are high in monounsaturated fats, the healthy fats, that help lower your risk of heart disease. Besides protecting your heart, almonds can help reduce blood sugar spikes and help you feel full and satisfied. Additionally almonds are loaded in vitamin E. One serving of almonds provides 70% of the recommended daily allowance of vitamin E. Almond butter contains all the benefits of almonds in a convenient spreadable form. 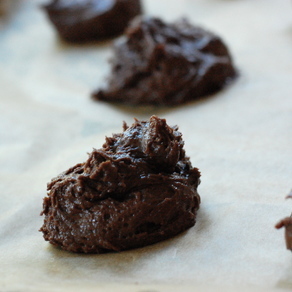 If you are not a fan of almond butter you can try peanut butter instead. 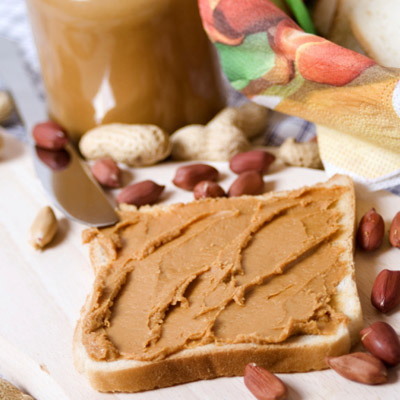 Peanuts are also high in monounsaturated fat and vitamin E. Look for natural peanut butters free of hydrogenated vegetable oil to get the most health benefits. Whole grains such as whole grain bread have also been shown to improve heart health. When looking for breads be a label reader. Look for bread that lists as the first ingredients whole wheat or any other whole grain. 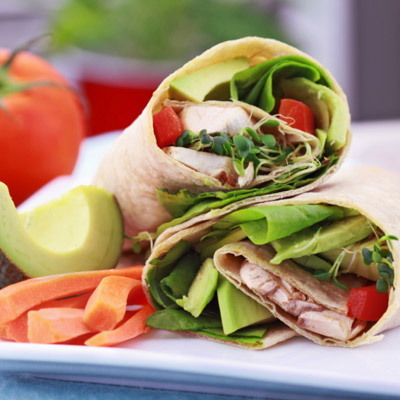 Take a corn or flour tortilla and fill it up with your favorite veggies for an easy healthy snack. Green peppers, red peppers, mushrooms, onions, broccoli, carrots, and even squash, zucchini, or eggplant can all be quickly sauteed in a pan with a little cooking spray or a small dash of olive oil. Onions and mushrooms are a good source of fiber. Mushrooms are high in potassium and iron. Winter squash offer more nutritional value than summer squash, but summer squash is still a good choice. Zucchini and eggplant can be thrown in for variety as well. You can choose to cook this with garlic or stir fry sauce to add a different flavor. This also works well stuffed inside a whole grain pita for a snack on the go. Sunflowers seeds are another source for healthy fats and vitamin E. They are an excellent source of folic acid, B vitamins, and minerals including potassium, zinc, iron, calcium, and magnesium as well as other vitamins and minerals. Mix a handful of sunflower seeds in with some dried fruits for a portable snack. 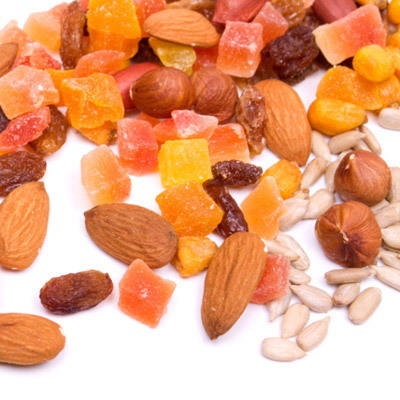 Dried fruits such as apricots, raisins, and dates work well. Because the drying process concentrates the sugar and calories of fruits be careful to keep to small portions. While fresh fruits are superior to dried fruits as far as vitamins and minerals, dried fruits do offer some nutritional benefits. Dried fruits are a good source of fiber, many are high in antioxidants, and some such as raisins and prunes are a good source of iron as well.